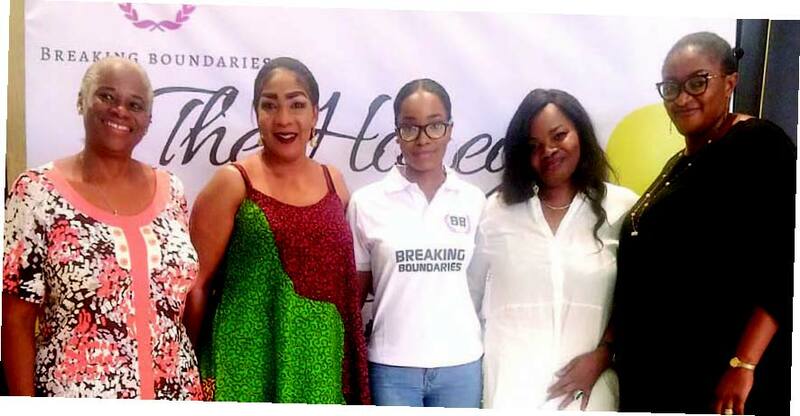 The Breaking Boundaries Network, a non-governmental organization focused on grooming women to be their best selves, last weekend at Four Points by Sheraton, Victoria Island, Lagos, launched their Honey Bee project. The Honeybee Project is a mentorship and networking event aimed at building strong, young women in Nigeria by connecting them to other great women who are making great strides in their chosen careers. The network also seeks to foster conversations that are beneficial to the growth of women. The one day conference had a panel of distinctive, young women who are making strides in their various careers; and their willingness to share their experiences, made the session more interactive. Drawn mainly from the media, they include, Tora Olaiya, Laila-Johnson Salami, Kemi Adeyemi and Tomisin Akinwunmi. The session was interactive, with participants seeking answers to the confusions and challenges around their passion and careers, especially, when such passions are in conflict with parents’ career expectations. Responding, Tora Olaiya says: “I had the same issue with my mom. All I did was prove her wrong that the path I have chosen, is not just what I like, but I can also make something out of. So when your parents don’t want you to pursue a field you love, sometimes, you have to show them why they should trust you with the decision you have made. That comes with you showing results. But if you are young enough, try to do what they want you to do, and when you are done with school, you can pursue what you love. check, and one that they can look up to for advice. The mentors for the conference were author Pat Obilor, Isioma Utomi, Fashion designer, Toju Foyeh, CEO of LSF PR Bidemi Zakariyau, MD Suffy Travels; Marie Therese Ukpo and Tech investor and ecosystem architect, Maya Horgan Famodu.